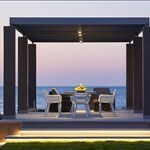 Manousaki villa is 140 square meters with three bedrooms and a private bathroom. Two of them have a shower and one of them has a bath. Each bedroom has a double bed. The cleaning of the communal space and rooms will be accomplished once per week. Second pair of towels and sheets will be provided as well as shampoo and bath foam. We offer excellent quality of goods for your breakfast. If requested we can arrange the rental of car on your behalf as well as your collection from the harbour or the airport. 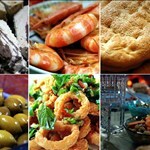 Guests can create beautiful dishes with traditional Cretan recipes that are in their disposal. In the surrounding of the villas you can find a small swimming pool and garden. Wireless Internet connection is also available. Domestic animals can be accepted under conditions. The village where the villas are located has easy access to Rethynmon and to a plethora of beautiful beaches such as Agia Paraskevi, Agios Pavlos, gulf of Plakias and Agia Galini. The visitors can enjoy a perfect combination of mountain and sea. In the brad area there is a fish village called Plakias where someone can enjoy various sports which among them are Kayak, windsurfing and the like. 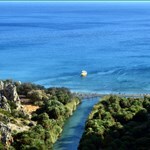 Also can someone walk to the famous Kourtaliotis ravine and in the surrounding area cycling and trekking is a must. In addition, there is a shooting-place where adults can develop their potential.